Excel in international business markets with a low-cost, high-quality program for you and your company. The Chancellor’s Certificate in International Trade is a practical, online curriculum that allows you the flexibility to learn at a time and place that works for you. Each two-week module can be taken separately or in order. 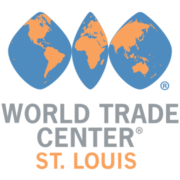 This unique program is provided by the World Trade Center St. Louis and the University of Missouri–St. Louis with assistance from both qualified international consultants and professionals at regional companies already engaged in business overseas. Click here for more information on course descriptions, instructor bios and the benefits of online learning.